Bourbon distilleries are moving forward on plans to begin tackling the current Bourbon shortage. 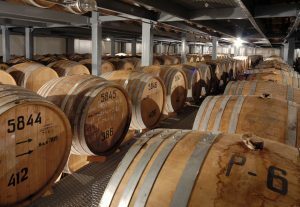 The Bourbon sector as a whole showed strong growth in 2016, adding upwards of $8.5 billion to Kentucky’s economy and generating $825 million in tax revenue for the state according to the Kentucky Distillers’ Association. The Kentucky Bourbon industry generates some 17,500 jobs which is expected to grow as a number of new distilleries are under development to catch up with current demand. Overall, American whiskey volumes were 21 million cases in 2016 representing an increase of 6.8 percent and an increase in revenues of 7.7 percent.